JNTUH results 2019: Candidates can also check results at, jntuhresults.in. 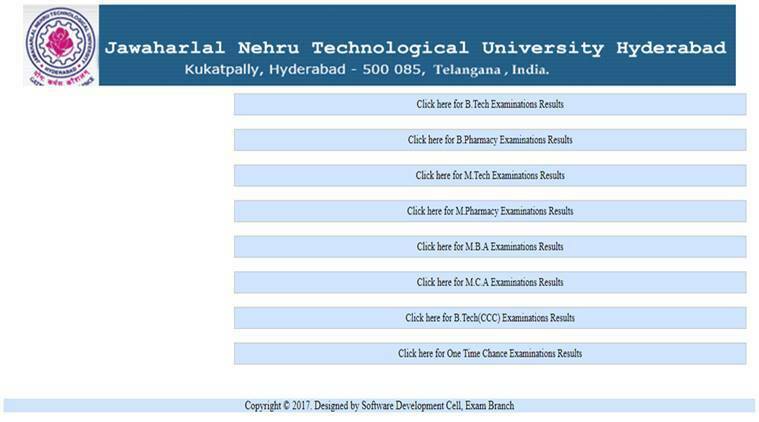 JNTU H result 2019: The Jawaharlal Nehru Technical University, Hyderabad (JNUTH) has declared results for the exams held in November 2018 on its official website jntuh.ac.in. Candidates can also check the results at the alternative website, jntuhresults.in. The university has released results for undergraduate, postgraduate and PhD level exams. The website is also hosting results for the RRM exams conducted in December 2018. While many candidates are facing issues in loading the primary website, candidates can check result by following these steps. The result for reevaluation exams has also been declared. Candidates can check and download the result. They will get a provisional result copy from the university campus.